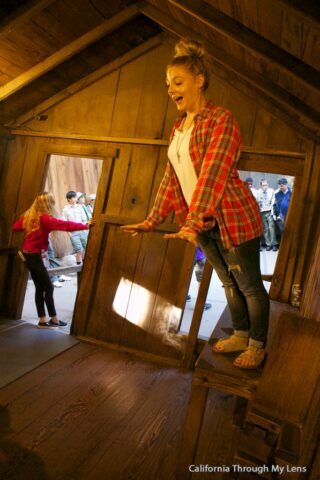 Oh the famous Mystery Spot in Santa Cruz, a special place full of intrigue and questions. 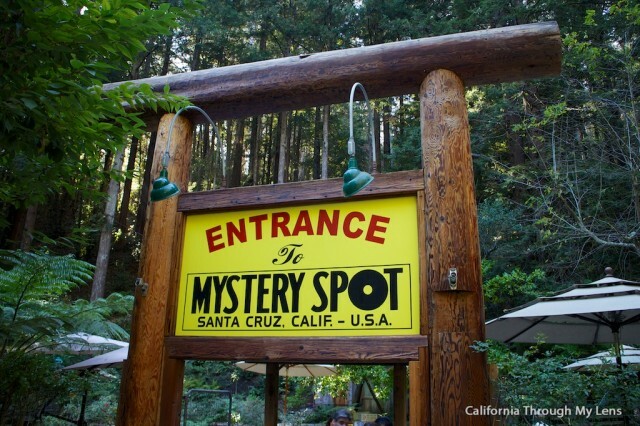 When you are visiting Santa Cruz you will no doubt have someone ask you if you are going to the Mystery Spot and you will see signs and bumper stickers all over town. I had never been and I figured I would do no research on it before hand so I could just be surprised when showed up and took the tour. If you want to be surprised feel free to stop reading but I can honestly say it will be hard to describe it in text and you should just go experience it for yourself if you are interested. 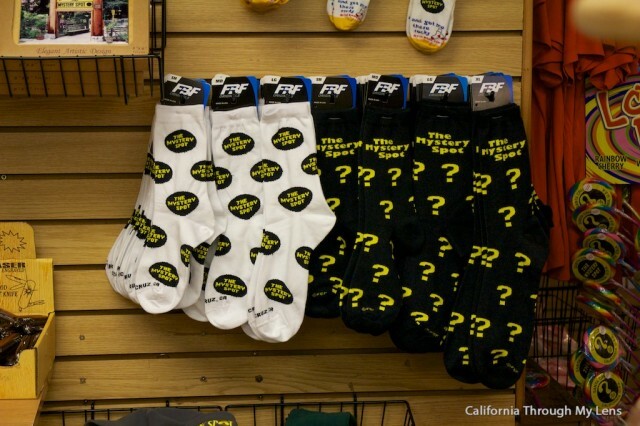 When you arrive and pick up your tickets in the store you will literally see Mystery Spot everything lining the store, from shot glasses to socks. 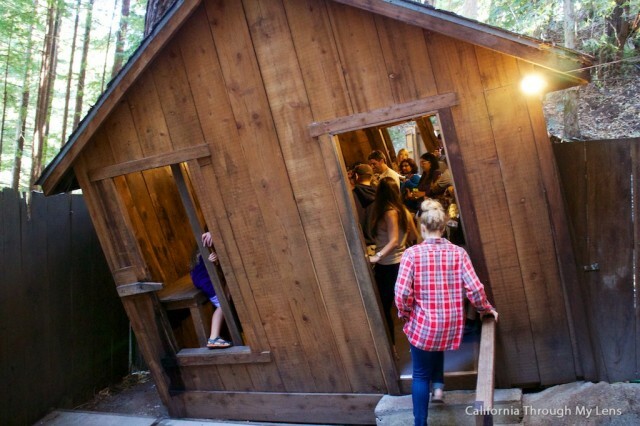 After picking up or paying for your ticket you will sit and wait till the start of your tour to enter the mystery area. From here the tour starts and you learn about this crazy “natural magic show”. 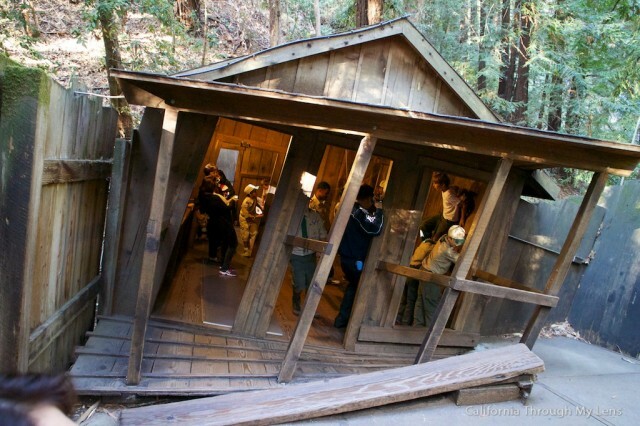 The Mystery Spot was discovered in 1939 by a group of surveyors and opened to the public in 1940. 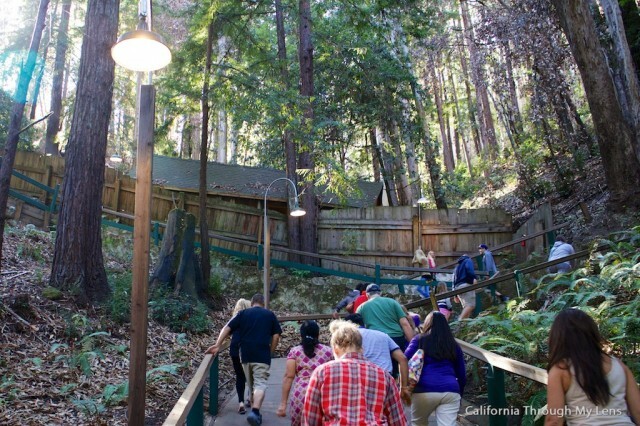 The Mystery Spot has amazed and perplexed hundreds of thousands of visitors from all over the world, and many return time and time again to experience these puzzling variations of gravity, perspective, and height. Some speculate that cones of metal were secretly brought here and buried in our earth as guidance systems for their spacecraft. Some think that it is in fact the spacecraft itself buried deep within the ground. Other theories include carbon dioxide permeating from the earth, a hole in the ozone layer, a magma vortex, the highest dielectric biocosmic radiation known anywhere in the world, and radiesthesia. Whatever the cause is, it remains a mystery. 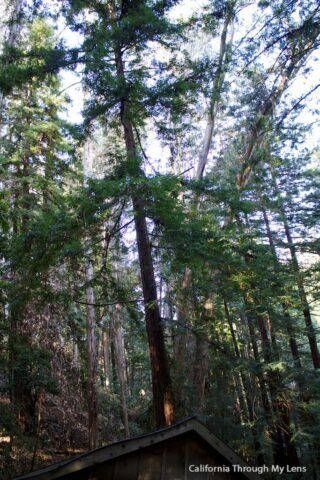 The tour proceeds up the steep incline until you make it to the slanted house and start to understand how weird this area feels. The guide then takes you through a series of strange examples that mess with your head and help to show off the phenomenon here. The highlight of the trip is walking into the main house where the 17 degree angle starts to really plays with brain. You can climb tables, hang from the wall and walk up the stairs, all of these things designed to mess with your mind and to provide some fun instagram pictures. After the guide shows you the area then you can mess with it yourself and try the different activities she explained. It is actually a lot of fun to mess around on the activities. After that you exit the house and have a few more examples of the natural magic, including an explanation of how some of the trees are even growing at an angle near the house. It is a fun tour and I would say it is worth the 5 dollar cost to enter. 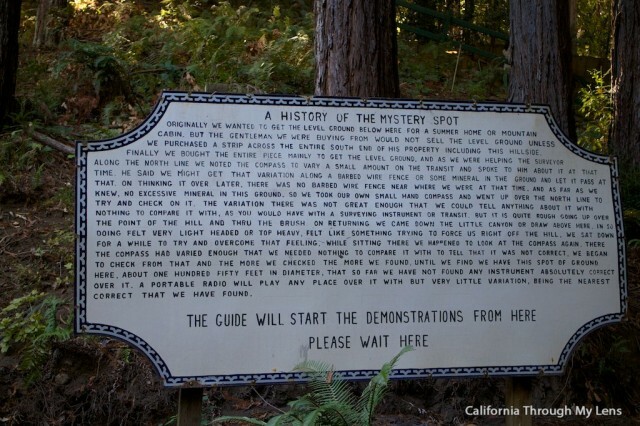 Its especially a fun stop on a Pacific Coast Highway drive as it has been around for decades and thousands of people have marveled at its mystery. Let me know your thoughts in the comments.